Maximilian Karl Emil Weber (; ; 21 April 1864 – 14 June 1920) was a German sociologist, philosopher, jurist, and political economist. His ideas profoundly influenced social theory and social research. 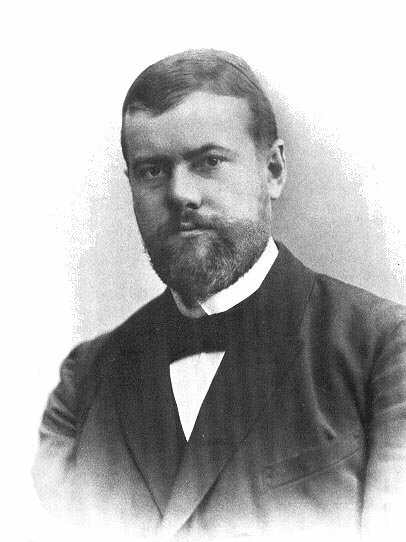 Weber is often cited, with Émile Durkheim and Karl Marx, as among the three founders of sociology. Weber was a key proponent of methodological anti-positivism, arguing for the study of social action through interpretive (rather than purely empiricist) means, based on understanding the purpose and meaning that individuals attach to their own actions. Unlike Durkheim, he did not believe in mono-causality and rather proposed that for any outcome there can be multiple causes. Weber's main intellectual concern was understanding the processes of rationalisation, secularisation, and "disenchantment" that he associated with the rise of capitalism and modernity. He saw these as the result of a new way of thinking about the world. Weber is best known for his thesis combining economic sociology and the sociology of religion, elaborated in his book ''The Protestant Ethic and the Spirit of Capitalism'', in which he proposed that ascetic Protestantism was one of the major "elective affinities" associated with the rise in the Western world of market-driven capitalism and the rational-legal nation-state. He argued that it was in the basic tenets of Protestantism to boost capitalism. Thus, it can be said that the spirit of capitalism is inherent to Protestant religious values. Against Marx's historical materialism, Weber emphasised the importance of cultural influences embedded in religion as a means for understanding the genesis of capitalism. The ''Protestant Ethic'' formed the earliest part in Weber's broader investigations into world religion; he went on to examine the religions of China, the religions of India and ancient Judaism, with particular regard to their differing economic consequences and conditions of social stratification. In another major work, "Politics as a Vocation", Weber defined the state as an entity that successfully claims a "monopoly of the legitimate use of physical force within a given territory". He was also the first to categorise social authority into distinct forms, which he labelled as charismatic, traditional, and rational-legal. His analysis of bureaucracy emphasised that modern state institutions are increasingly based on rational-legal authority. Zur Geschichte der Handelsgesellschaften im Mittelalter Nach südeuropäischen Quellen. Die Landarbeiter in den evangelischen Gebieten Norddeutschlands In Einzeldarstellungen nach den Erhebungen des Evangelisch-sozialen Kongresses.